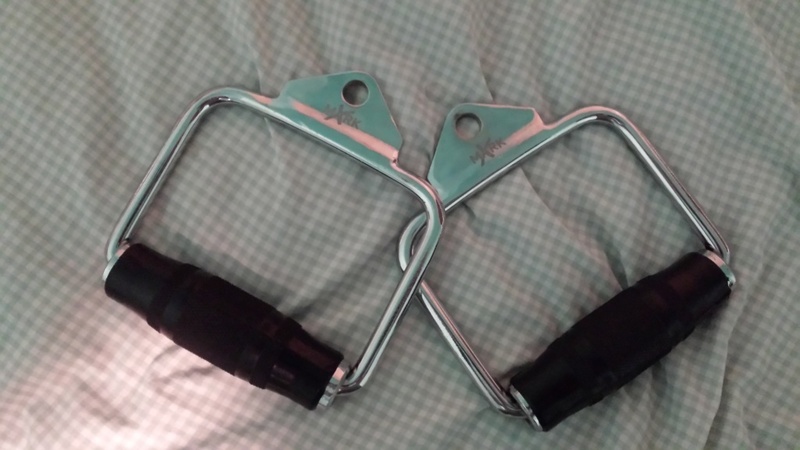 Hey there to all in the weightlifting community, Tony here back in action with another article… This time I’ll be typing about the use of various cable attachments and my opinions/reviews on them. 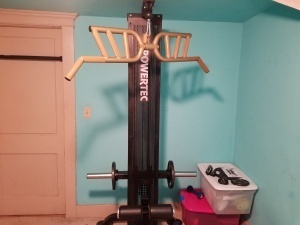 I should start by mentioning that I do have access to this piece of equipment as a secondary accessory/aesthetics movement type piece as I did purchase a light commercial/home use lat machine (high pulley with low row capabilities) and later on different various cable attachments for it and consider myself a “Home gym for life” type of person, so I can honestly state my piece on some of these attachments I own. First, if you get a good quality round dual guide rod lat machine that the weight travels smoothly on with a nice 1:1 pulling ratio (Which most lat machines should be), then you’re in good hands. The reason you want a 1:1 pulling ratio on this type of machine is because like they say “Weight is weight” and you want all of it on there whether it’s plate loaded, a weight stack with key, or both capabilities on the system, you know you’re lifting all of what you add to it and no half, or a quarter fraction of it non-sense. The Lat Bar – The most common bar attachment for this machine and in fact its first name is named after it, this attachment usually comes standard with the lat machine you purchase and is great for lat pulldowns…The reason I like this attachment (and its other variety of forms) is because depending on your routine you might tend to gain more bodyweight along with your strength and muscle density and the lat bar would be the best compromise if your pull ups start becoming less than efficient in volume, plus they can help assist some users and you can add a lot of weight to most of the machines and build a thicker back depending on your goals…helping to hold the bar on the back better during squats is another sweet benefit! 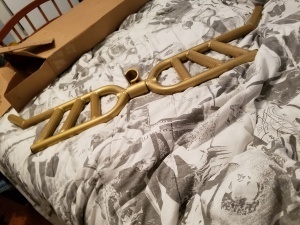 Reps Direct makes this unique cable attachment, it weighs 16 lbs and is the love child of their “Legendary Football Bar” cut and grooved to give birth to the “Revolutionary Back Bar Pro”. 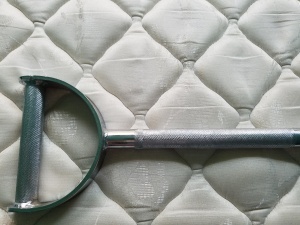 The BBP grips are all knurled with 1.25″ thick diameter handles and have a standard grooved lat bar along with the middle flat area knurled for triceps and biceps movements as well as underhand pulldowns, one pair each of wide and middle angled handles (which you can flip the BBP from wide and mid inner angle grip to wide and mid outer angle grip, or vice versa) and a pair of neutral narrow grip handles, the BBP also doubles as a rotating T-bar row application for many T-bar row angles to hit the back with and has a hole on it to fit the carabiner clip onto it when it’s being used for cable work. The BBP is actually the main lat bar I use when using the lat machine due to its variety of angles on the back, I usually just “Run the gamut” with it for a straight set of 6 to 12 reps on each handle, but it’s awesome/intense for supersetting with as well…I use the BBP after my main lifts for my particular routine (if not doing sets of pull ups off the pull up bar on the top of my power rack). Good old bodyweight dips (weighted, or not) will always reign supreme for the triceps, but the BBP is excellent for triceps pressdowns of many angled variations and a fun way to throw in more variety and give the tris something to think about. For a bit of extra biceps work the BBP ignites the biceps and forearms, but keep in mind that on the low pulley you also have 16 lbs of resistance due to the heft of this particular attachment, so you might have to be a bit conservative on the weight you use on the machine with this movement. 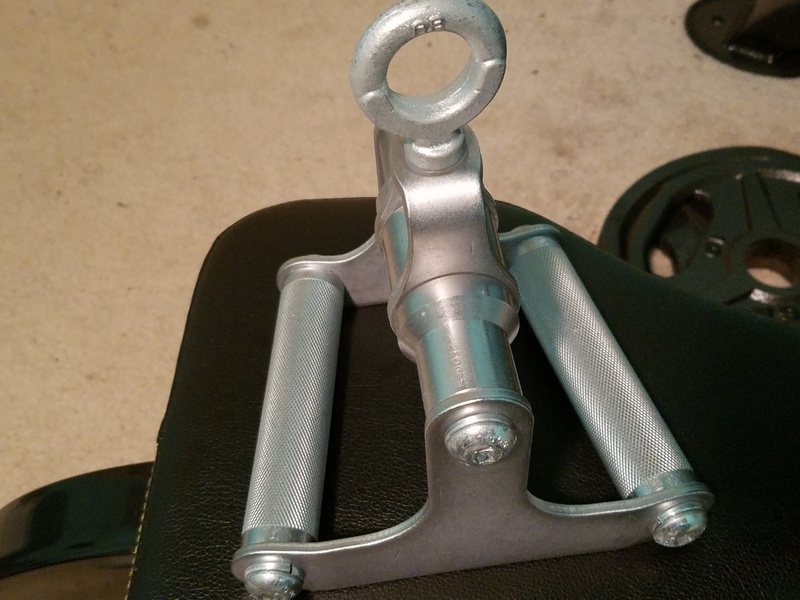 That said, this attachment is exactly what you’d expect from a modified Football Bar cable attachment…Heavy duty, so make sure you keep a bit of weight on your carriage, or keyed on the weight stack, otherwise it will go down a bit on the pulley, not too fast, but just keep conscious of that. 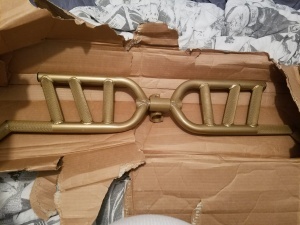 Hahaha I actually own two of these in gold, but you can get it in a semi gloss black, custom red, or other custom colors if they can powder coat that color, Also note that if using the BBPs T-bar application’s capabilities it will fit on 1.25″ OD barbells (Which is the type of barbell diameter most dedicated lifters have standard in their home gyms), the fatter diameter bars are not compatible with the T-bar application. Full disclosure: I’m a sales rep for Reps Direct. For more info on Reps Direct products including features/specifications, handle modifications, color options, purchasing, etc… check out my profile on here by clicking on my name and feel free to send me an e-mail. 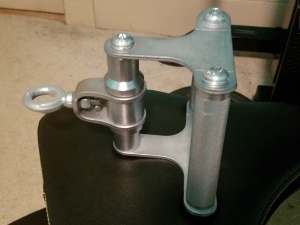 This cable attachment is chrome and knurled in a straight bar across meeting the neutral handles style with a rotating carabiner clip (I usually grab this attachment and the BBP right in the middle for easy hook up on the top carabiner clip), I find this lat bar to be built well and it feels great on the shoulders with the neutral wide grip position. 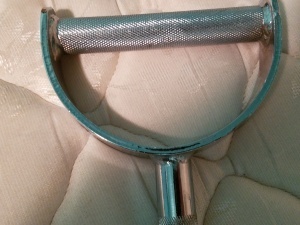 The middle portion is knurled too, which is a great touch for underhand grip pulldowns too. My only slight criticism of this attachment is that the grip areas could be a bit thicker, other than that it’s not a bad attachment. This lat bar and short straight bar comes standard with the Powertec Lat Machine which I purchased a few years back. Both attachments are surrounded by a smooth rubber coating. The lat bar is your everyday type of lat bar, angled at the ends, lighter in weight and gets the job done if it’s your only lat bar (I personally prefer knurling on most cable attachments to really go all out every rep on every set, but I never had any slip issues with this bar since I had it). 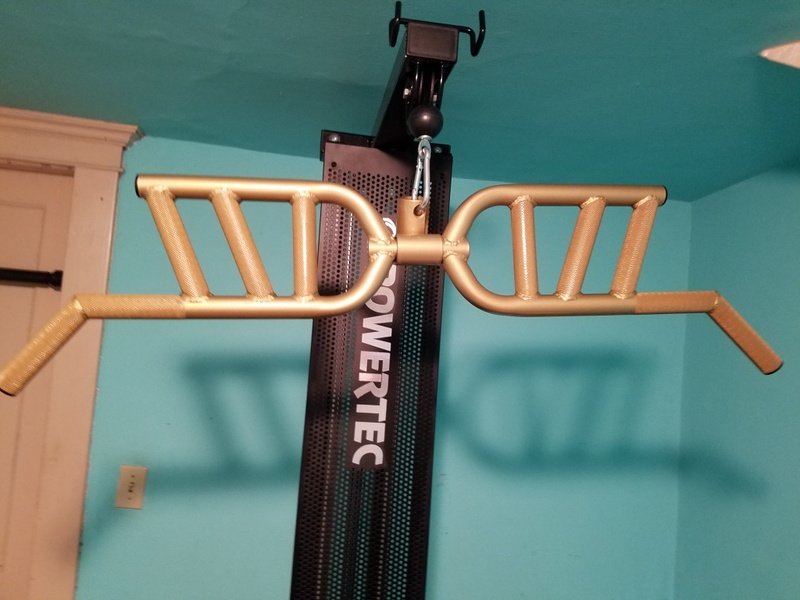 The short straight bar is decent for cable curls on the low pulley and is effective enough for the “Curls for the girls” mantra crowd as well as some high pulley curls, and perhaps standing cable bent over rows (overhand, or underhand). Triceps pressdowns never really impressed me much on these type of short, flat cable bar attachments, but all in all it’s a keeper that came with this particular machine. Editor’s Note: Both the Powertec lat bar and short straight bar aren’t sold separately and are only included with Powertec’s Lat Machine, Workbench Levergym Tower, and Workbench Lat Tower Attachment. 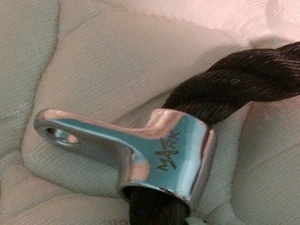 X-Mark’s rope attachment has a thick chrome carabiner clip with their logo on it, the rope is thick enough and the stoppers work well when grasping the attachment and are bolted on securely. From the carabiner clip to the flat surface of the rubber stopper, the rope measures 10″ in length. The cable rope is at the top of my list of all time favorite cable attachments! My favorite move with this attachment is the simple yet extremely effective exercise known as Facepulls, where you attach the rope to the top pulley, walk out to extend the cable a bit and feel the resistance and you grab the rope near the rubber stop ends (index knuckles and thumb knuckles sides pressing flush against the stopper ends as you grip, keeping the ropes together as you pull towards your face, then separate/spread the ropes outwards as it meets your face). This movement not only externally rotates the shoulders and keeps them healthy from most of the common forward shoulder slouching we tend to do in society today, but also evens out imbalances in that area…but that’s not all, cause due to the nature of the movement as it pulls the shoulders back and keeps tension from the cable machine, it also from an aesthetics stand point gives you that “3-D delts” look as well, in fact I find that it also makes the traps pop with definition as well along with the main barbells lifts (I usually do 5 sets of 15 reps of these at the end of my strength routine) and you really don’t need to add much weight on this movement…actually it’s better to go lighter on these and really feel it working as you contract the working muscles. Triceps pressdowns and triceps over head extensions also work great with the rope and contract better as the rope spreads apart at the end of the movement, nice for etching out the tris. Cable hammer curls are also an honorable mention with the rope attachment and hit the biceps from a unique angle while keeping tension on contracting them throughout the movement. 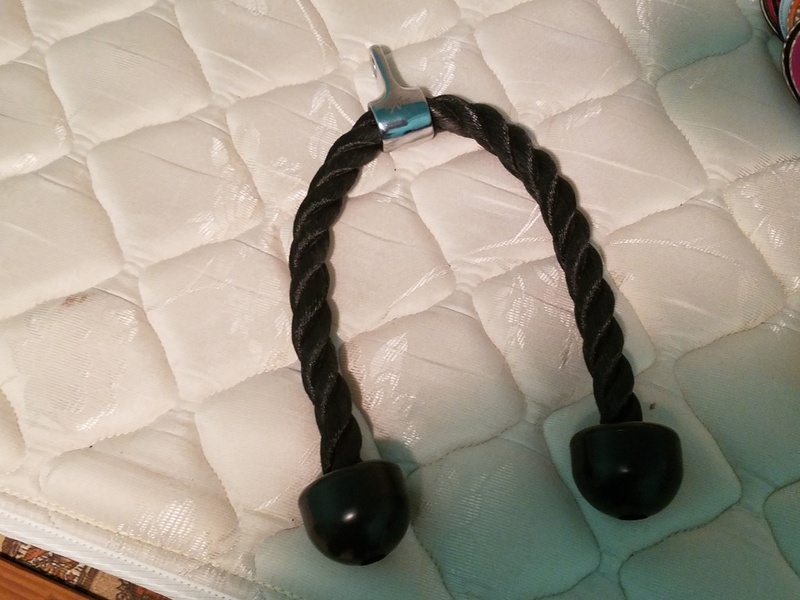 Editor’s Note: The XMark Tricep Rope is only sold as part of one of their accessory packages. 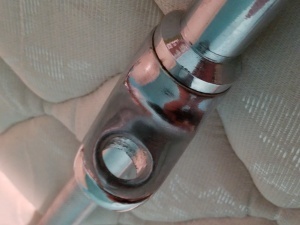 This American Barbell attachment (also known as a double D-handle) is built like a tank and as heavy-duty as they come, the knurling is grippy and just right with 1″ handles curved slightly inward on one vertical side and outward when flipping it to the opposite vertical side which gives you a slight angled option for both low rows and close grip pulldowns, not to mention the carabiner hook on this one is a Monster!!! And you’ll never have to worry about its structural integrity with whatever you decide to hook it to and pull with it…A weighted lat machine cable, a pull up bar…A TRUCK! In fact when I had the original stock carabiner clips on my lat machine, this attachment barely fit in the clip (but justifiable since Powertec has very small carabiners with their lat machine and I simply replaced them with a bigger set of carabiner clips that I got inexpensively from the home improvement store). These handles come with two in a set, they are a thin chrome design meeting up to the area where they clip and a rubber coated knurled grip rotating handle. These can be hooked individually, or together…I find them decent, but a bit novel and limited for unilateral work (some single arm pulldowns and single arm cable rows and the freedom of rotation is a nice touch for these as far as using one handle and switching), but for single arm curls, or single tricep pressdowns I find that the steel part of the handle digs into the top of the wrist on those movements. If hooking up both handles it makes a decent close grip pulldown that you can spread out/pull apart a bit at the bottom of the movement, same goes for low rows as you row towards you. 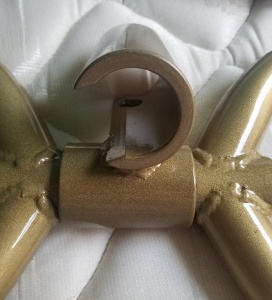 Editor’s Note: Like the XMark Tricep Rope, these handles are only sold in one of XMark’s accessory packages or with one of their machines. 1. 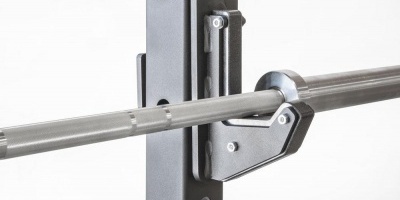 Reps Direct Back Bar Pro – There’s just about nothing you can’t do with this attachment and the variety and lack of switching out attachments is unparalleled to us meatheads out there and the BBP is an overbuilt tank. 2. 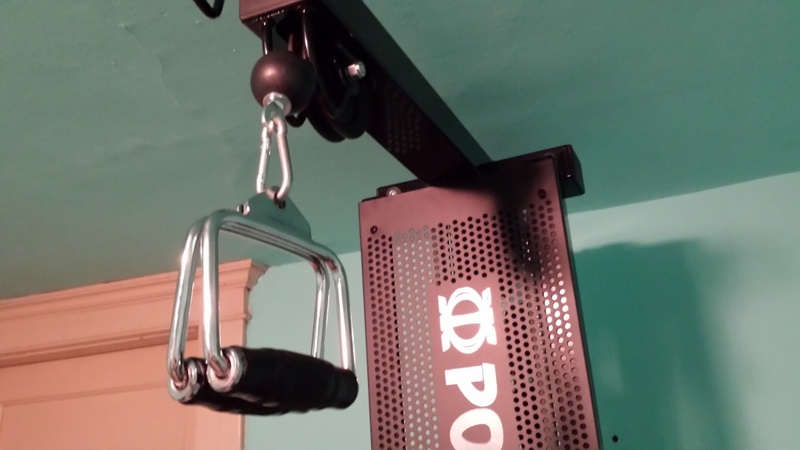 X-Mark Rope Attachment – Facepulls! Need I say more? 3. 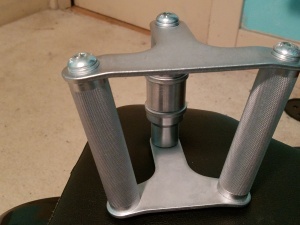 American Barbell Seated Row Chinning Triangle – They take great pride in their products and everything about this piece cries “Indestructable”, nice touch on the grippy knurling, the “Overbuilt” carabiner hook and the slight angle on the handles which feels great on low rows. 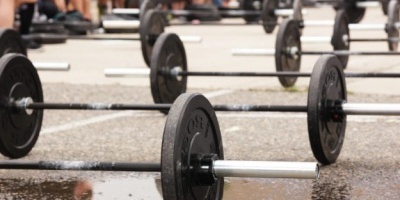 In conclusion and as far as cable attachments go, there are many out there and pricing varies from one attachment to the next, but the best ones as with any pieces of equipment are the ones you’ll use and that will benefit you in your weight training journey.